White Water Rafting is a great way to see the area along a river in an adrenaline fueled activity. Here is what I wish I knew before I went rafting the first time. I have asked for guidance from fellow travelers about their first trip, and advice from a few experienced rafters. 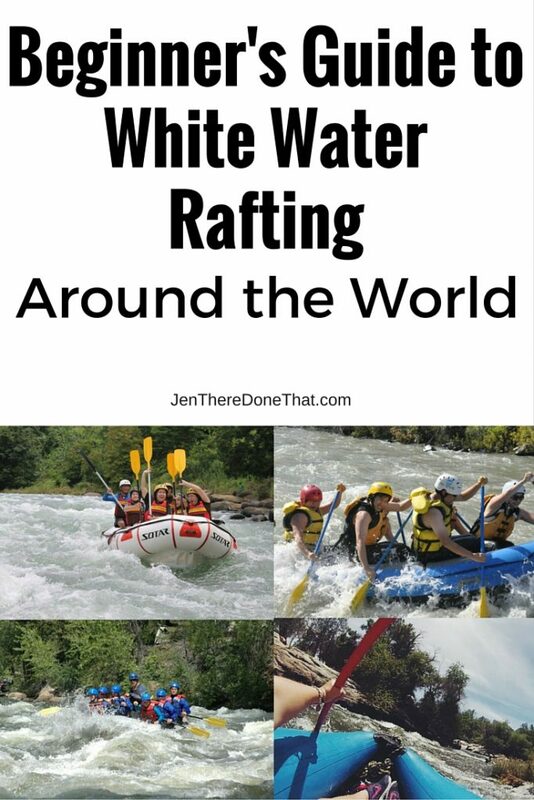 The first time that I went rafting was in Colorado with a very experienced group. They asked me if I wanted to go on a weekend trip, and one full day was going to be rafting. Without asking any questions, I said YES! The temperature is starting to cool off and people around metro-Phoenix can finally venture outside with less fear of catching fire, or at least it feels that hot all summer long here. 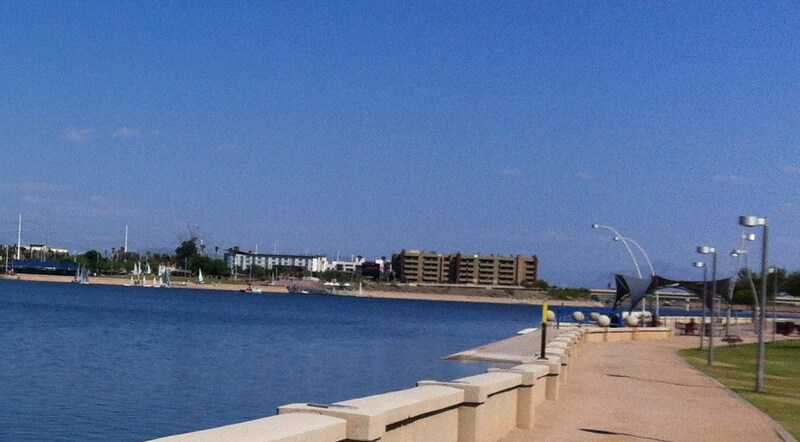 Today a friend and I took my dogs out for a walk along Tempe Town Lake, the man-made lake in the middle of bustling University town Tempe. 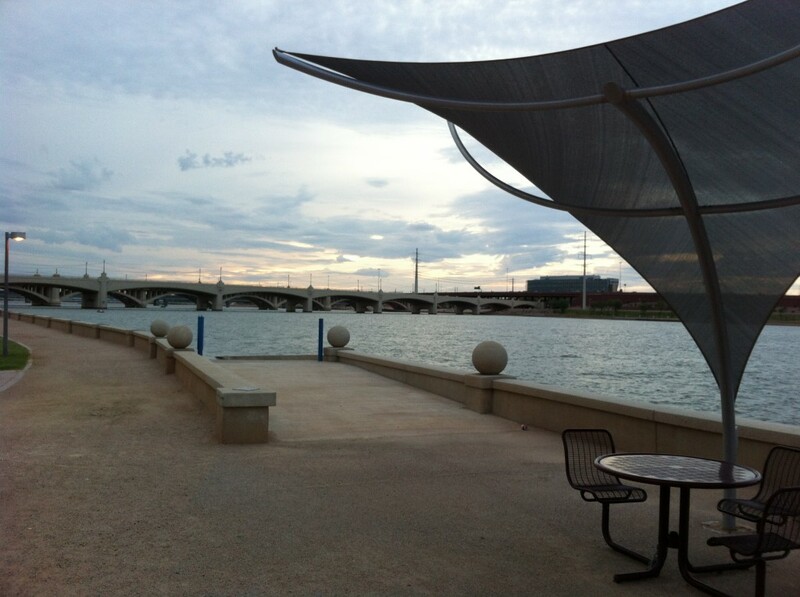 The park around the Lake is home to many festivals and concerts, so be sure to check out upcoming events here. I prefer to plan my own event at the Lake. Bring a picnic basket for a fun family activity during the day, or romantic get-a-way in the evening. There are plenty of bike paths, walkways, shade trees, and benches. The dogs love to walk around the lake with me. There are mountain views to the north of the lake and the park is well kept and clean. The main attraction is the lake, and there are quite a few activities to enjoy on the water. Today we watched people sailing, kayaking, fishing, and on paddle boards. There is a boat rental office on the south side of the lake for small boats, hydro bikes, and kayaks. 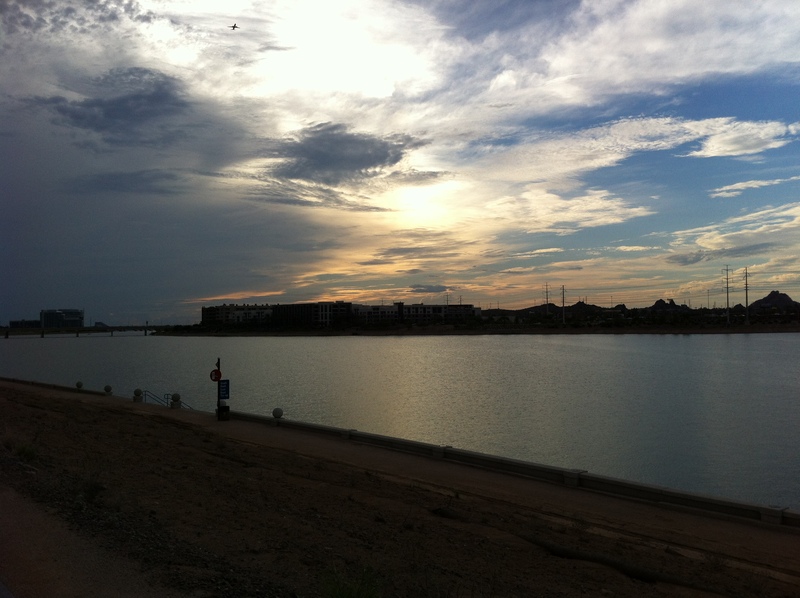 Lake or land, the sunset is worth hanging around to watch.